This week the Indie Beauty Media Group announced a multifaceted partnership with Germany-based beauty retail giant Douglas. It’s the fourth retail partnership struck by the organization behind the—now global—Indie Beauty Expo events and the second such deal giving independent cosmetics, personal care, fragrance, and wellness brands access to shoppers overseas. 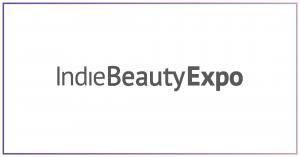 “Independent beauty is a strategically important area for Douglas, andwe want to earn our place as the instinctive retailer-of-choice for independent brands entering or expanding in Europe,” Says Tina Mueller, CEO of Douglas Group, who will keynote IBMG’s Beauty X Summit in Dallas, Texas, this coming May. To read more about this partnership, read on.